This year marks the first Global Conference on Wine Tourism hosted by the United Nations World Tourism Organisation (UNWTO). With many major tour operators now offering wine trips that include multiple vineyard tours and tastings, it’s clear that wine tourism – or ‘oenotourism’ for those in the know – is booming. If you’re planning a wine cellar restock or simply want to increase your knowledge and get some sun while you’re at it, then an oenophile holiday could be for you. If you’re interested in getting to know the real origins of wine, then a trip with Old World Wine Tours could be right up your street. Georgia and Armenia are two of the oldest documented wine-producing countries in the world, clocking up an impressive 8,000 years of history between them. Although relatively under-represented on UK menus, both Georgia and Armenia produce some excellent quality reds thanks to their almost perennial sunny climes and cool mountains and caves that allowed for natural storage back in the day. The combined Georgian and Armenian tour takes in the Caucasus region’s best wine cellars, looks at ancient methods of production using ground-submerged wax-lined clay jars, offers traditional dinners in local restaurants, and visits some impressive fifth- to thirteenth-century monasteries. Best time to visit: Mid-May to early July, and early September to mid-October, when it’s generally warm and sunny. In early autumn the festive wine harvest in Kakheti takes place from about 20 September to 20 October. With an average of 200 days of sunshine per year and a large and diverse topographical area to cover, it’s no wonder that California has more than 3,000 vineyards and is one of the world’s top producers of wine. From the inland hills that cultivate excellent Merlot and Cabernet Sauvignon to the breezy coastal regions offering great Chardonnay and Pinot Noir, there is fantastic variety in this new world wine region. What’s more, the prestigious Napa and Sonoma areas are a short distance from San Francisco – just an hour by car – and tours abound. Wine Train tours the Napa Valley vineyards, offering a taste of the glory days of rail travel via vintage rail cars decked out with sumptuous leather, velour and brass. Fine dining on board is accompanied by stop-offs at a number of vineyard partners for exclusive tastings. Best time to visit: The weather is generally great all year round. Avoid the crowds from January to March or visit late August to October for the wine harvest. The Strada del Vino, or The Wine Road of South Tyrol, in northern Italy traverses 16 petite and picturesque wine towns in the undulating hills of the upper and lower Adige valley. Known for its small batch varieties of Pinot Bianco and Pinot Grigios as well as red Lagrein, a cousin of Pinot Noir and Syrah, the valley stretches from Salurn in the south to Nals in the north. A wine safari can be arranged by Südtiroler Weinstrasse, which can also provide information and bookings for individual self-guided tours around the multitude of vineyards in the area. Best time to visit: The harvest runs from August to October. The last cartload of grapes, and a big party to celebrate, roles into town in early October. Although now synonymous with deep and smoky reds, the vineyards of La Rioja in northern Spain actually started off producing whites, but thanks to influences from Bordeaux the reds now take centre stage. You’ll learn this and more on a Rioja and Ribera journey with Wine Tours. Lead by an expert guide, the tour skips from ancient family-run bodegas to modern estates and restaurants that specialise in local delicacy cochinillo, or suckling pig, offering tastings as you go and finishing up in the UNESCO World Heritage city of Segovia. Best time to visit: The cooler autumn months. South Africa is brimming with superb wine producers, many of which are only a short jaunt away from the buzzy capital of Cape Town. Stellenbosch and the mountainous Franschhoek are two of the best known. Take a bike tour with Wine Lands Explore through the scenic Jonkershoek Valley, passing through forests of oak and poplar and visiting two of the area’s vineyards, one of which includes a chocolate pairing workshop. Alternatively, hop aboard one of four routes taken by the 300-year-old wine tram in Franschhoek, stopping for tastings and cellar tours at more than a dozen different locations. Best time to visit: The dry, hot months between November and April. On the northeastern tip of New Zealand’s South Island, Marlborough produces about 77% of the country’s wine, and is known for its incredibly popular Sauvignon Blanc as well as Pinot Noir and Chardonnay varietals. The first vine was planted by Scottish farmer David Herd in 1873 and although commercial production wasn’t to take off for another 100 years or so, today the area contributes to a large amount of new world wine’s exports. The unique terroir is best viewed from a Tasman Helicopter, which offers three-hour routes, landing for lunch and tastings at two or three different wineries. Best time to visit: March through to May is autumn in Marlborough, and the harvest season. Spring (September to November) is less touristy and the temperature very pleasant. For a really hands-on approach to viticulture, Grape Escapes is your best bet. As well as grape picking in Champagne and blending masterclasses in Bordeaux, the company runs the Grape Treading package in Portugal’s picturesque Douro Valley. Portugal is one of the only countries in the world still pressing its grapes the traditional way (literally squishing the grapes beneath the feet), and Grape Escapes invites you to get involved in the process. On the tour you’ll stay on the wine maker’s estate, visit the winery and get to stamp on the grapes yourself in the lagara (treading tank). Lunches and tastings are included. ‘We consider ourselves old hands now, having harvested and crushed the grapes and tasted the results,’ says Christine Sturgess, who along with her husband has been booking wine holidays with Grape Escapes for years. Best time to go: September to October for the harvest, when you can experience these hands-on activities. Opening in 2016 to great fanfare as part of the celebrations of Bordeaux’s tenth annual wine festival, La Cité du Vin building took Parisian architect studio XTU seven years to complete and cost a reported ‎€81m. The result is a breathtaking 55m high flute-like aluminium structure and adjoining chamber that houses a multitude of interactive sensory rooms. 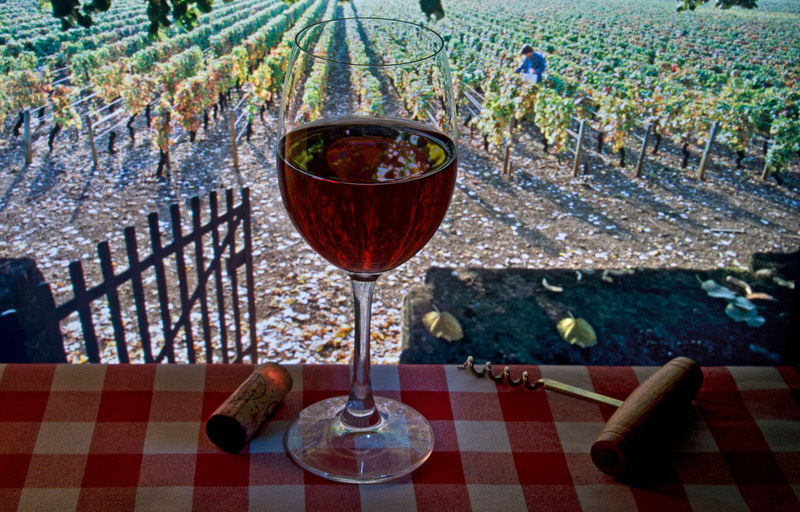 More museum than tasting space, permanent exhibition tours feature sniffing rooms and information about the world of wine while talks are hosted in a large auditorium. Of course there are also tastings, held on the eighth-floor Belvedere bar, which has an excellent selection of local bottles and views across the Garonne River and outlying countryside. So whether you’re tempted by a great vintage or prefer the allure of a new-age bottle, these holidays around the world will satisfy even the fussiest of oenophiles. Pack your notepad and ready your taste buds for the wine holiday of a lifetime.